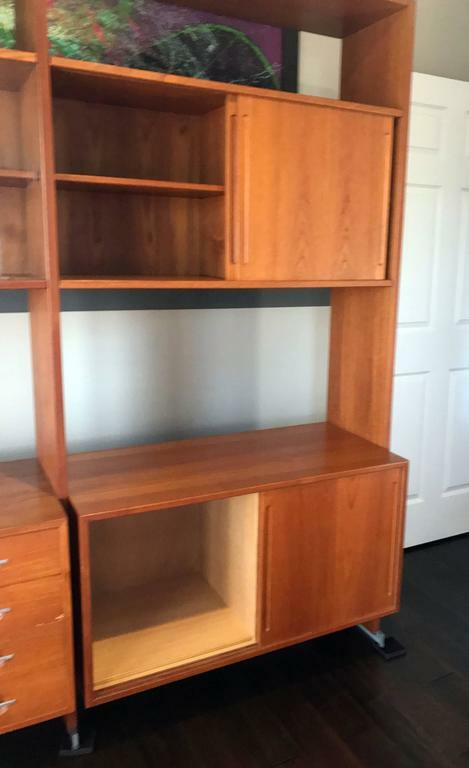 A stunning piece of Mid-Century Modern Danish design. 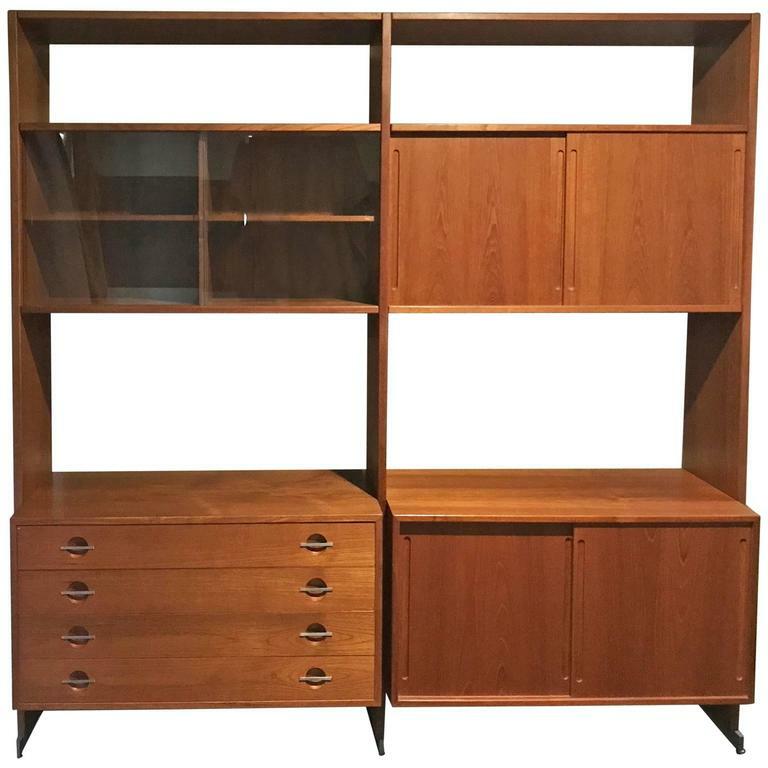 This large teak wall unit is comprised of two large bays, with a total of four cabinets. The wall unit is expertly constructed so that none of the drawers actually touch the floor, instead the unit has long teak legs with stainless feet that give the illusion of an almost floating wall unit. One cabinet features four drawers, two sliding door cabinets, as well as one cabinet showcase with glass doors. 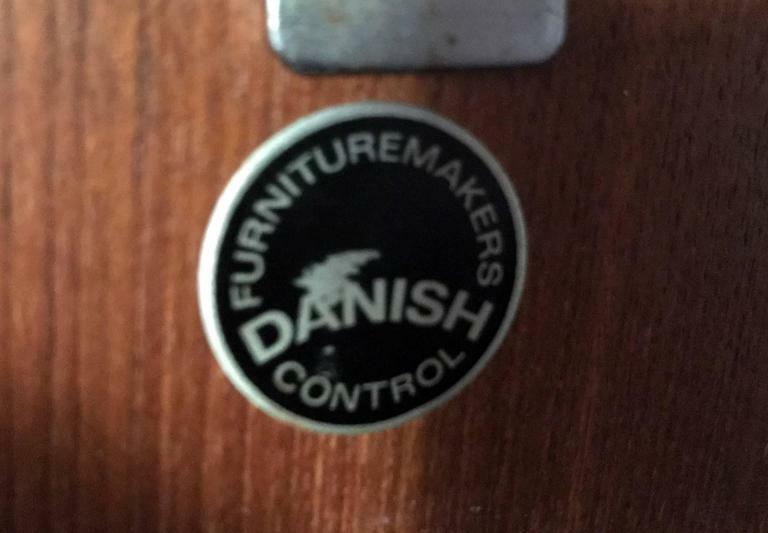 An absolute must-have for any Danish Modern aficionado. 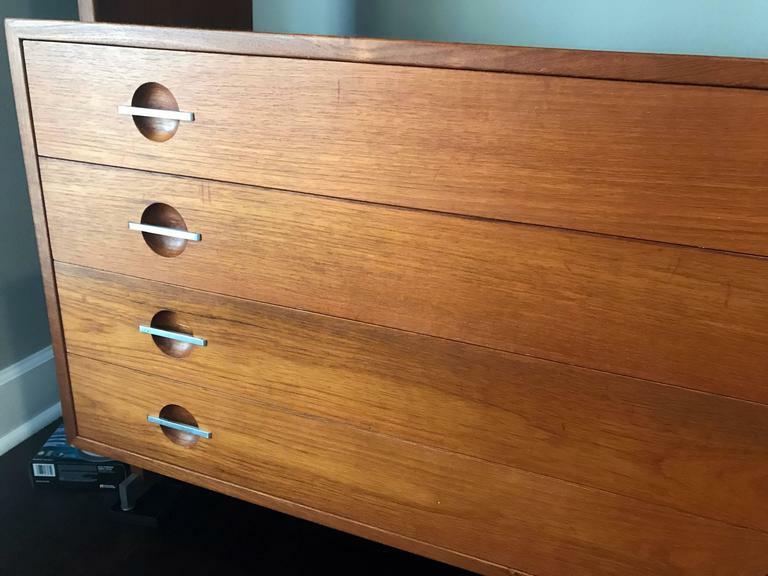 There are a couple minor scratches on the drawers and a couple very small chips that have been touched up on the piece, not noticeable under casual observation. Another great find! 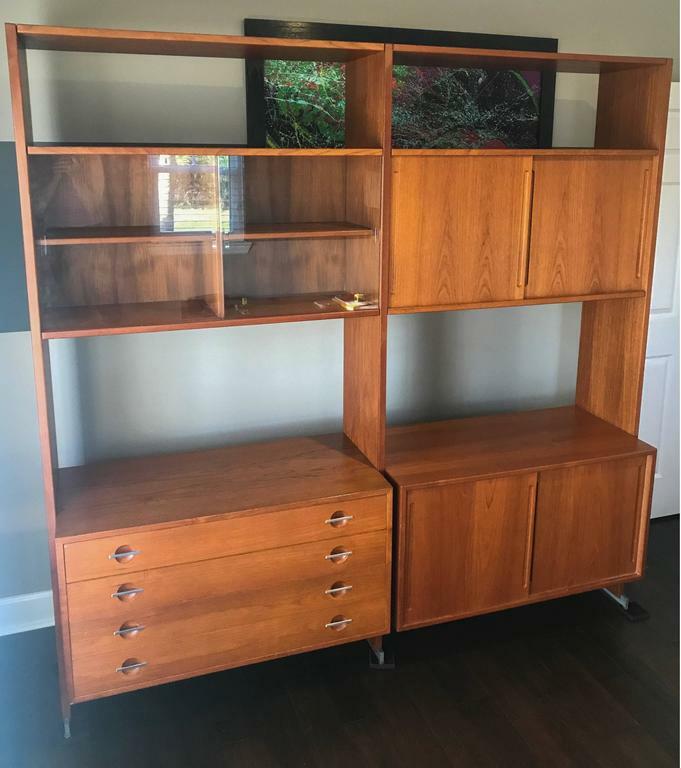 This midcentury Florence Knoll Credenza is in great shape with a Carrera marble top. Both sides of this piece are finished, so it can "float" in a room. An absolutely stunning rosewood veneer and mirrored credenza from the 1970s. Vintage Danish modern oak shelf with rustic yellow lacquer treatment. Designed by Hans Jorgen Wegner and manufactured by Ry Møbler in during the 1950s. Wall bookshelf made in solid oak. Designed by Hans J. Wegner produced by Ry Møbler for Illums Bolighus in the 1950s. Signs of wear consistent with age and use.